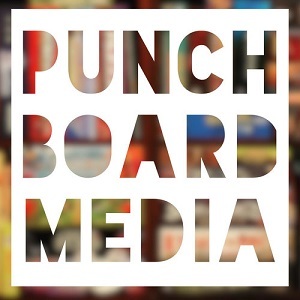 Botch Games host Craig is a bibliophile and lover of board games. In his spare time, he is constantly pushing new games on his co-hosts, his unsuspecting wife and teenage son. Botch Games posts new podcasts bi-weekly, where they discuss the games they're playing, the games they're hyped about, and then go in depth into some topics and/or mechanisms in board gaming. It's the 104th episode of the podcast and it's business as usual. In this episode Craig talks with Erin about their myriad plays trying to finish a 200x1 by the end of the year and Matt and Derek stop by to talk about their yearly plays and unfinished challenges. Somewhere buried deep in this episode is at least one person talking about games. It's like an Easter Egg hunt to find the chat about an actual game. May the odds be ever in your favor! Botch Games #101: The Four Year Botchiversary! It’s Botch Games’ four year anniversary episode! Things happen! Now in only an hour! In this installment, Craig tries his best to upset every board gamer ever by explaining his distaste of some incredibly popular games. There's no accounting for taste, apparently. Botch Games #100: Holy Cow! Episode 100?! It's So Oversized! Botch Games #99: Games? And Stuff? It's been a while. But here Botch Games is again, at the precipice of 100 episodes. But first you have to listen this one. Just an average run of the mill episode. Look on my Works, ye Mighty, and despair! Botch Games #97: There's Still a Place to Type Stuff, So Here's Words? At some point in this episode, Craig, Erin, Matt, and/or Derek talk about a game. You’ll never believe what happens next! In this episode of the New Ones, Craig talks about Rhino Hero Super Battle, Fields of Green, Castles of Burgundy, Wasteland Express Delivery Service, and Massive Darkness. In this episode Derek talks Root, Matt talks Brass, Erin talks Altiplano, and Craig is also there. It's a great episode with a Craig Con recap from people that aren't Craig, and some chat about a few Fantasy Flight Gen Con announcements. Enjoy! In this episode, Craig talks Hanamikoji, Clank In Space, Dice Forge, Coconuts, and Can’t Stop. Craig talks Sentient from Renegade, This War of Mine, Fate of the Elder Gods from Fabled Nexus, Near and Far from Red Raven Games, and Dice Stars. In this episode, Craig celebrates the return of his lovely wife, Erin, to the program. In the third segment, Matt and Derek are back and the conversation quickly turns from games to rulebooks to Star Wars to inserts to games. Craig is joined by Tyler in the family segment and Matt and Derek in the third segment to wrap-up their Origins experience. The games, the people, the fun. In Episode 92, Craig is joined by guests Eric Buscemi and Patrick Hillier to talk about the games they’re excited to check out at Origins 2018. Botch Games #91: Board Games and Faux Pas and Babies, Oh My! In Episode 91, Craig, Erin, and Tyler talk about their plays including Space Base from AEG and Ganz Schon Clever. In the third segment, Derek and Matt help Craig solve all the world’s problems with their hard hitting journalism. It’s Episode 90, and the gang’s all here. Erin and Tyler join Tyler in the family segment taking about their plays and Matt and Derek are in the third segment doing the usual thing. Botch Games #89: How About the Other Half This Time? First Craig and Tyler talk about this War of Mine both as a video game and as a board game and how they translate, then Matt and Craig talk about games for almost an hour! It’s all the games today! In episode 88, Craig is joined by Erin to talk about the family's plays and Derek Davis stops by to talk about necessary and unnecessary expansions. Botch Games #87: How Many of You Are There?! In Episode 87, Craig is joined by Erin and Tyler to talk about their recent plays, and then Matt and Derek stop by to chat about sorting through the 3300 games of 2017 to find what rises to the top.